Ever seen a boring email signature before? Though email signature should be simple and not too flashy, you still need to make it not to be a boring one. Using a creative flair, you simply design an eye catching signature that contains basic contact information. In this post, I will be listing to cool ideas that will help you while using Google Drive and Gmail when combined. Here is the point here, just Quote a new development or the current trend in your industry. It’s likely that the statistics given or the fact stated will help to incentivize or boost the originality of the offer you are making in the email you’re sending out. You can use the Shape tools in Google Drawings and create quick swappable “statistical” signatures for your email. Then the information on the statistics or graph can be linked to a page on your website than contains more details about it. You can as well include a Youtube, video testimonial through Thumbnail insert. With your email signature in outgoing emails, it can take your email conversation out of just the inbox itself to a more interactive platform which it the social media and bet you me, it just the perfect magnet for that. You can read up the detailed guide on how to add social media buttons t your email signature here. Gmail is limited by the few fonts it carries. One of the ways to expand your choices is to use Google Fonts via Google Drawings. Handwriting fonts mimic the look of a casual signature, and there are a good range of handwritten fonts to choose from in Google’s font repository. Follow the steps to create a PNG graphic of your “handwritten signature” and you can embellish the signature with any other graphic or a branding image you want. Have an event coming up? Maybe, you are celebrating ten years at work, or maybe it’s an event organized by your company. An interesting signature image can pull in the eyeball and spur someone to click on the hyperlink to find out more about it. The above simple signature has an image file created with Google Drawings and regular text formatted with the options in the Signature box. You can also use a service like Click to Tweet to generate a track-able Twitter link. Supporting a creative project like an art exhibition could be a nice way to use your email signature. The tried and tested “Don’t print this email” message is great, but it is as old as the Redwood now. You can start thinking about LGBT rights, promoting New Zealand’s national flag, or universal flu vaccination. The world is your stage. To me, it’s an offbeat idea to use Email Signatures for personal development. But with a humble email signature, you can affect people’s daily lives positively depending on the approach. If it’s the type that comes with a relentless reaffirmation, then I guess it’s what makes me think it can work. So, you can try it out with a goal you have set for yourself. All you need to do is to design an email signature around this and use that your goal as a public pledge. Gmail signatures shows the personality of the user. 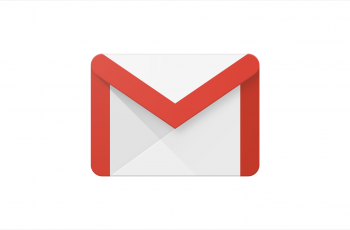 A creative Gmail signature can make a nice impression to the receiver of the email. If you are using your Social links in the signature, you can get a lot of social love. Fact! Social love is one thing Marketer crave for.